BT’s ability to design and deliver world class service to its customers and support its expansion in high growth regions. Over the next 18 months the Bangalore GDC will hire up to 600 highly skilled software development engineers. The new facility joins BT’s global network of development centres in Ipswich (Adastral Park), Belfast, Cardiff and Glasgow in the UK and Kuala Lumpur in Malaysia. These centres are operated by BT TSO, the Technology, Service & Operations organisation supporting all of BT Group’s lines of business. Using the latest collaboration technology, the Bangalore teams will work closely with service design colleagues in the UK on the development, upgrades, migration and architecting of IT services. 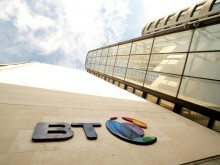 They will be a core part of BT’s drive to simplify and speed up its business processes. BT has been in India since 1987 and set up its first customer relationship management office in New Delhi in 1995. BT currently has a strong in-country team dedicated to helping large Indian and global multinational organizations to expand globally and within India, with offices in New Delhi, Bangalore, Mumbai, Pune, Gurgaon and Chennai, and a customer innovation showcase in New Delhi. BT operates 13 MPLS nodes across India, in Mumbai, Delhi, Bangalore, Hyderabad, Chennai, Kolkata and Pune, and works with an extensive network of Indian partners including Bharti, BSNL and Tata Teleservices & Reliance. BT runs its Asia Pacific Regional Centre of Excellence in Pune, which provides a single point of contact for all regional service enquiries and round-the-clock global fault management, At this facility, a dedicated service centre team offers multi-lingual service in English, Japanese, Mandarin, Cantonese and Hindi. BT also operates a 24-hour service centre in Mumbai. A Security Operations Centre was opened in Noida in 2009, managing our customers’ security environments 24/7. In 2008, BT established a Global Operations Centre in New Delhi to support existing centres located in Europe, Latin America and Asia. BT supports various community projects in India, including the Kite initiative of BT and Katha, Hope Foundation in Bangalore where we are helping transform communities through education, skills development, health and job creation initiatives.